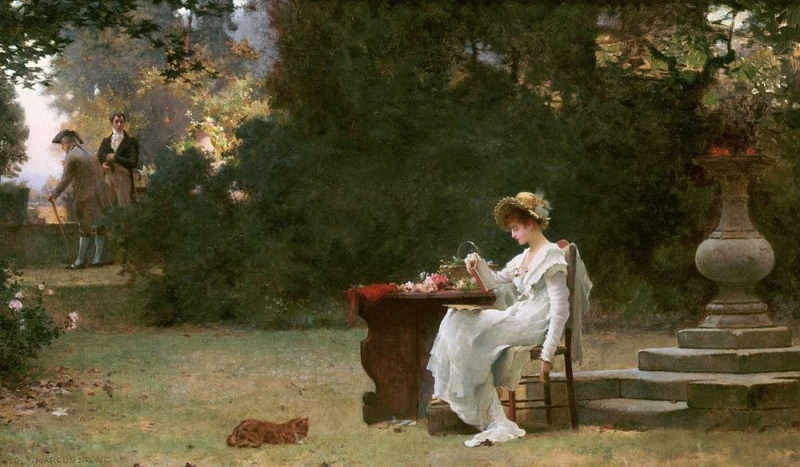 "Marcus Stone, born in 1840, was the son of the printer Frank Stone, who turned to art after an early career in his father's cotton-spinning business.Marcus Stone, a historical genre painter and illustrator, studied under his father. He was a close friend of Charles Dickens and as a young man illustrated the original editions of Great Expectations and Our Mutual Friend. After considerable work as an illustrator, he chose to specialise in sentimental paintings with enigmatic titles which, like so many Victorian paintings, were designed to tell a tale.He exhibited at the Royal Academy from 1858 and also at the Royal Institute of Painters in Oils and at many other galleries nationwide. 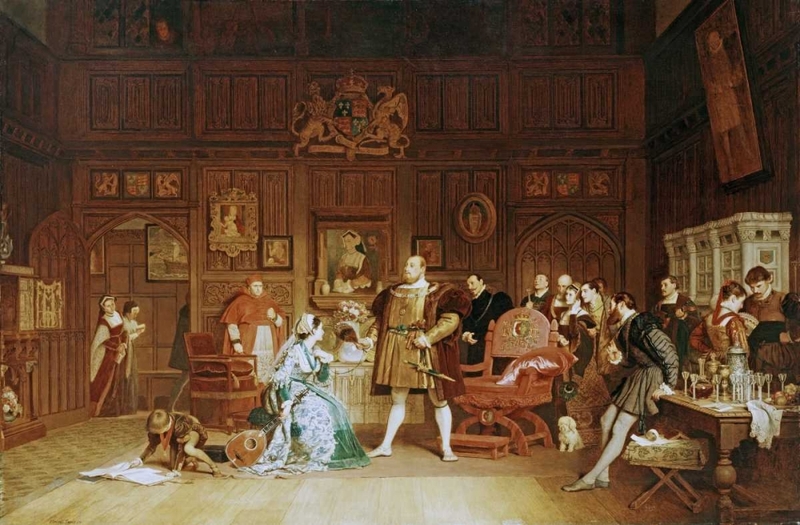 He became an Associate of the Royal Academy in 1876 and a Royal Academician in 1886.Stone painted mainly genre scenes set in the 18th century or in which his subjects wore Empire costume. The themes are usually dramatic, sentimental or humorous.He died in 1921."